 This website is owned and operated by Matt About Business, LLC. We will use your contact details (your name, telephone number, your e-mail, and/or postal addresses and whatever else is collected via our site’s forms) to provide any information and/or services requested by you and also to tell you about important changes to the site and its functionality. These details will be used by us to provide you with information about other services and products. If you do not wish to be contacted for this purpose, please express your preferences by using our contact page. Or you may alter your details that we hold by using our contact page. We may ask for further information about you as part of online surveys or if you enter any competition or other promotional feature. This information will be used to enable us to improve our website or online service. We will not disclose specific information to any third party; only aggregate information. Aggregate statistical information provided by us to other parties regarding sales or website usage will not include personally identifying information. Using affiliate links allows us to earn income so that we can continue writing posts that provide valuable information to our readers. 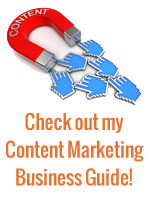 All affiliate links lead to products and services that we at Matt About Business, LLC believe are trustworthy and solid offerings. This site is a member of the Google AdSense Program. The DoubleClick DART cookie is used by Google in the ads served on the websites displaying AdSense for content ads. When users visit an AdSense publisher’s website, such as this one, and either view or click on an ad, a cookie may be dropped on that end user’s browser. The data gathered from these cookies will be used to help AdSense publishers better serve and manage the ads on their site(s) and across the web. Google’s use of the DART cookie enables it to serve ads to this site’s visitors based on their visit to this site and other sites on the Internet.